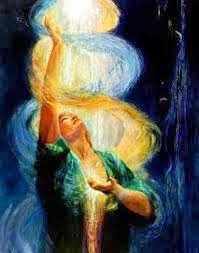 Beloved Masters, the Ascension goal for humanity, within this era of earthly experience, is to integrate all of the remaining Soul Fragments of the individual Soul Self within the Third and Fourth Dimensions. This will initiate a reunion with your Spiritual Triad, a Sacred Facet of your Divine Self, which is awaiting your return within the first sub-plane of the Fifth Dimension. This is humanity’s major goal for this round of evolution. Remember, ALL Creation – the Omniverse at all levels – is Cosmic Energy, which was sent forth from the Heart-Core of the Supreme Creator. This Energy is composed of vibrational frequencies of infinite variations, which interpenetrate with each other, and yet are separated from each other by the variance in Light frequency patterns. The Light/Energy of the Creator contains all the components of Creation, and these innumerable Seeded Patterns of Light make up the complexity of the many levels of material manifestation. The terms used to describe the multiple levels of Creation, such as “Dimensions and Sub-Dimensions,” are used to bring clarity and understanding of the very complex nature of the reality in which all Creation exists. 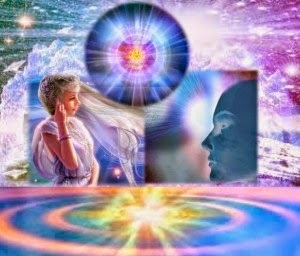 We have defined the stages or levels of the Ascension process that humanity is currently experiencing as “STAGES OF EVOLUTION.” After you return to balance and harmonize your mental, emotional, physical and etheric bodies within the vibratory fields of the Third Dimension, you are ready to focus on the Fourth Dimension and the Emotional-Astral Planes. Most of the advanced Souls who have incarnated within the last fifty or so years came in with their Third-Dimensional Soul Fragments already harmonized and integrated, and many came in with a good portion of their Fourth-Dimensional Fragments integrated as well. These precious Souls are the ones who agreed to sink into the density of the Third-/Fourth-Dimensional illusional density so they could become the Vanguard /Wayshowers who would lead the Way onto the upward spiraling Path into the entry realms of the Fifth Kingdom. As these brave Light Bearers are lifted up, so are the Earth and all humanity. A period of great renunciation prefaces the complete transition out of the Fourth Human Kingdom (the Fourth Dimension). You must experience the challenges and tests of the fourth stage of the Ascension process, so that you may return to the originally designed path of Light and shadow, in order to complete the journey of duality. In doing so, you will gain entrance into the Fifth Kingdom of the Sacred Triad, which is the foundation of the Fifth-Dimensional reality. (Each person’s renunciation process varies depending on the overlay of negative vibrational patterns they carry within from his/her many past life experiences). At the end of the Fourth-Dimensional stage, the many Fragments or Soul extensions of your Soul-Self from within the Third/Fourth Dimensions will have returned to the center of origin within your Diamond Core God Cell. Your goal is to become a living, consciously integrated, Soul-infused personality. A Soul-inspired mind seeks and conveys illumination. Over time, you will tap into your higher, intuitive nature, which will assist you in developing a more refined and expansive perception. A completion of the Fourth Stage of Evolution will result in a fusion of Love/Intelligence between the Soul and the personality. Yes, it is possible to achieve this spiritual state of Soul-awareness while in the physical vessel. 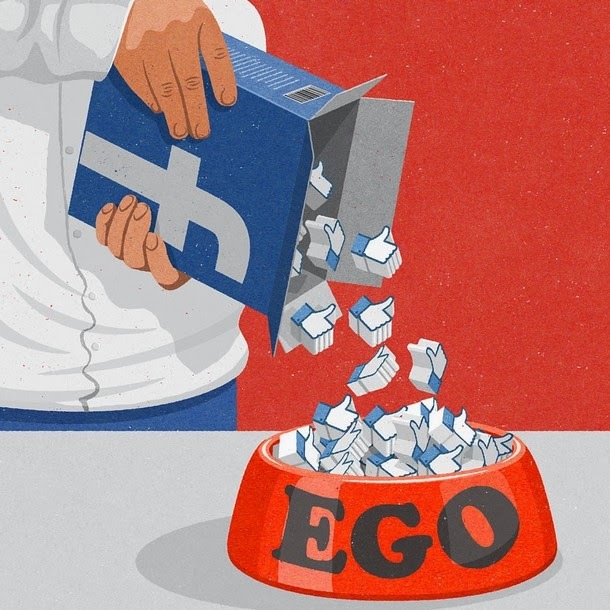 At this time, many StarSeed Souls are close to accomplishing this goal. It will become a common occurrence over the next twenty or so years, and the Ascension of humanity will accelerate throughout this century. 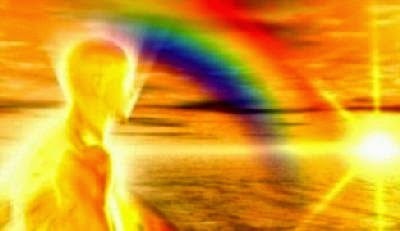 This unique phase of Ascension was designed to be a “Group Ascension,” whereby groups of specialized Souls, which came forth together into this Sub-Universe, are gradually reuniting. 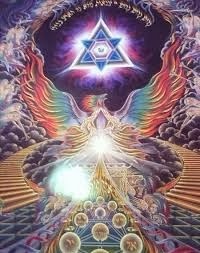 Your journey into separation is complete, and you are joining together once more as you begin this amazing adventure back into the higher realms of Light and life. A Self-master is responsive to the surrounding environment, while being the observer of mundane life experiences from a higher vantage point. You will learn what it means to “Be in the world, but not of it.” The Soul’s nature is love; therefore, you will begin to experience abounding joy and radiant love from within your Heart/Soul. You will still experience personal and physical distress; however, you will have the wisdom and the tools to transcend it. The Soul’s main purpose for incarnating in a body is not to learn; its desire is to experience. Within Its original realm, the Soul has Cosmic Consciousness. The Soul assumes a physical vessel in order to experience physicality, and in that state of Being It seeks realization and understanding via various degrees of physical brain consciousness. 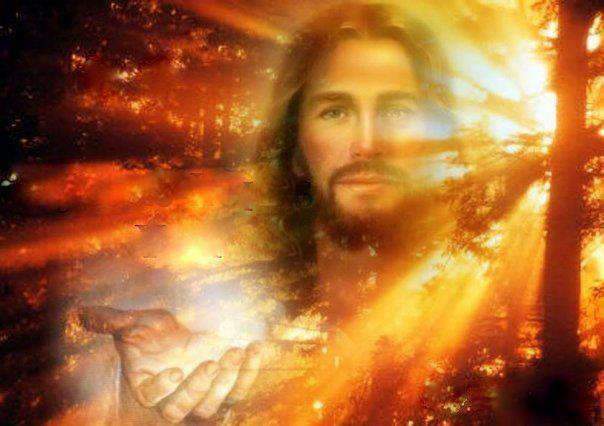 The main purpose of a Soul-infused personality is to become proficient in bringing down, into the physical Plane, the highest frequencies of God-Consciousness that he/she can embody and radiate out into the world. This results in illumination and Self-mastery. Through the process of integration and assimilation, the Soul Self slowly reunites all the Fragments of Itself within the Third and Fourth Dimensions into the physical vessel, thereby creating a Soul-infused personality. The Will of the Soul and the will of the human personality must blend in order to align with the next higher level of God-Consciousness. Remember, the Soul is only a dim reflection/Facet of Its original God-Seed Atom within this Sub-Universe. The Soul’s ultimate goal has always been to eventually return to a state of Divine Consciousness. While in a physical vessel, within this solar system, and during these times of transformation, your return journey from materiality involves experiencing and harmonizing the various Sub-Dimensional levels of sentience – or what has been designated as STAGES OF CONSCIOUS AWARENESS – which necessitate correcting and harmonizing of various negative thought forms of consciousness within the many Soul fragments you have created down through the ages. In doing so, you are gradually integrating these precious Facets of yourself. Over time, on this journey of Ascension, you will integrate all of the lower-frequency Soul Fragments you have created. And you are now in the process of downloading, via your Soul Star, all of the higher-frequency Facets of Soul-consciousness. The Superconscious Mind and the Soul work in harmony one with another, once a person begins to awaken to and heed the inner voice of Spirit. The Soul Self begins to download or radiate Its storehouse of mental and emotional wisdom, via Its Memory Seed Atoms, into the individual’s physical, emotional, mental and Etheric Being. These memory cells of consciousness are carefully monitored and calibrated to be of no higher frequencies than the physical vessel can accommodate. These thought form patterns will gradually increase in Light quotient, consisting of higher frequency energy, as the aspirant progresses on the Path of Light. In graduated stages, there is a fusion or conscious merging of the Soul and the ego-desire body/personality, until a point of equilibrium is achieved. The collective mass consciousness of humanity created the lower three dimensional levels, which are the Astral Planes of the Fourth Dimension, and this is where most of humanity exists mentally until they gradually begin to turn inward and listen to the nudgings of their Higher Soul-Self. 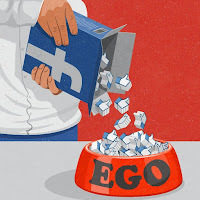 The ego-desire personality is the master manipulator of this realm, and it constantly urges one to seek more satisfaction and happiness via sensation and acquisition. When the Fourth-Dimensional stage of awareness is almost completed, you connect with your sacred triad, via the Antakarana, which is a direct stream of Life/Light from your God-Seed Atom. At that time, a Memory-Seed Atom, stored within the Root chakra at the base of the spine, gradually begins to spiral up through the Light Rod of Power, along the spinal column, and then anchors within the Pineal Gland. 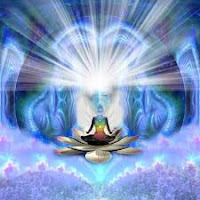 This, in turn, will activate another Memory Seed Atom of higher awareness – your new Divine Blueprint for the coming age – within the Pineal Gland. 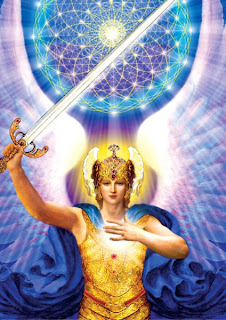 You will begin to tap into your inner power potential as you move into the higher sub-levels of the Fourth Dimension. Matter becomes more fluid, and therefore, it becomes easier to manifest what you desire. That is why you must learn to be decisive and to focus your thoughts with clear intention. A disciplined mind links the chains of thought together in a proper order. It is vitally important for you to understand that scattered thoughts are detrimental to your progress. Living in the present moment – in the NOW moment – is a critical component in attaining Self-mastery. Mental effort is required in order to successfully traverse the path of illumination. Gradually, a good portion of your memory of past events will begin to fade as you move out of the realm of the instinctual brain/mind into the realms of the cosmic stream of knowledge and your Sacred Mind. Important traits of a Self-master are focused observational abilities and harmlessness in thought, word, and deed. As an aspirant on the Path, greater and greater cosmic truths will be revealed to you. However, you should be aware that the lesser principles of ageless wisdom will constantly be expanded to incorporate the unique rules, laws and truths of the next level of existence in the never-ending cycle of Ascension in consciousness. AS YOU PREPARE FOR ENTRY INTO A FIFTH-DIMENSIONAL ENVIRONMENT, YOU WILL EXPERIENCE AN UPGRADING OF YOUR EMOTIONAL ATTITUDE AND AN INCREASE IN YOUR MENTAL APTITUDE. It is important that you not run away from “unfinished business,” but stay in your present environment (circumstances) while you are deciding what your “destiny passion” is (or what your next step into Self-awareness is to be). You must resolve and harmonize the major issues that remain within your auric field – the old business at hand. In other words, if your home life is in chaos, or if you are dissatisfied in the work place or in any of your personal relationships, there is inner work to be done before you can manifest harmony and balance in your outer world. Take an inventory and endeavor to discover what lessons are to be learned from each situation. Endeavor to see the best in everyone, and consciously seek to make an attitude adjustment. Every person you interact with, and every situation that is presented to you each day that makes an impact on you, contain a lesson to be learned. The greatest thing that is holding everyone back from attaining Self-mastery and claiming the beauty, bounty, joy, peace and harmony – which is the Divine Birthright for all humanity – is fear. Fear of failure; fear of the unknown; fear of success, and of moving out of the comfort zone of your present existence. We have stated before, your earthly contract for this lifetime is in the final stages of completion, and that applies to every Soul on Earth. We have stated that the Divine Plan has moved to the next phase or level – time is running out – and this means that everyone must move forward on the spiral of Ascension. My brave Bearers of the Light, at one level, the collective consciousness of humanity has moved deeper into a sense of separation, fear of violence, and anxiety about what the future holds. However, there is another band of human collective consciousness that is becoming predominant, for this one is growing in strength exponentially day-by-day. This overlay of consciousness is permeated with Unconditional Love, hope, desire for peace and harmony amongst all human kind. We tell you that the second band of consciousness – the band of Light – is and will overcome the shadows of fear and separation. The progression of the cosmos in the evolutionary spiral for the return to higher consciousness among all the Facets of Creation will not be delayed or denied. You are truly beginning to understand, and the yearning within is growing stronger and more compelling as you reach higher and higher on your personal sacred journey. In the beginning of this Sub-Universal journey, we were in perfect rapport and finely attuned one with another. Together, we are slowly but surely returning to that beautiful state of Oneness. 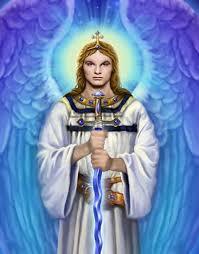 Archangel Michael: Accessing Your Higher Power Potential. Channelled by Ronna Herman.